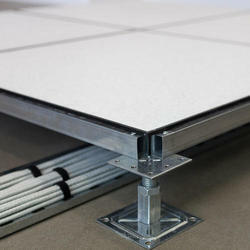 We are offering False Floor Panel to our clients. 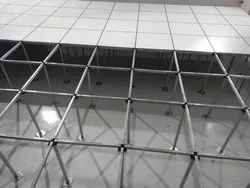 A raised floor (also raised flooring) or False Floor or access floor are types of floor that provide an elevated structural floor above a solid substrate (often a concrete slab) to create a hidden void for the passage of mechanical and electrical services. Engaged in Supply of Accessories like mini fix, T- nut, corner joint, hollow wood screw and inserts. All these accessories are produced in various dimensions, sizes and industrial usage. They have high tightening torque and concrete strength. Available in various dimensions, they are widely used in the furniture industry. We are engaged in supplying an extensive range of Roof and Floor Slabs. Procured from reliable vendors, these have excellent tensile strength, accurate dimensions and designs. Well appreciated for their perfect finish and high load bearing capability.